Madeira Island is an easy long weekend sun holiday destination from the UK and Ireland. There are plenty of things to do in Funchal, the main city on Madeira. Situated a bit north of Spain's Canary Islands, Portuguese Madeira offers a different charm. 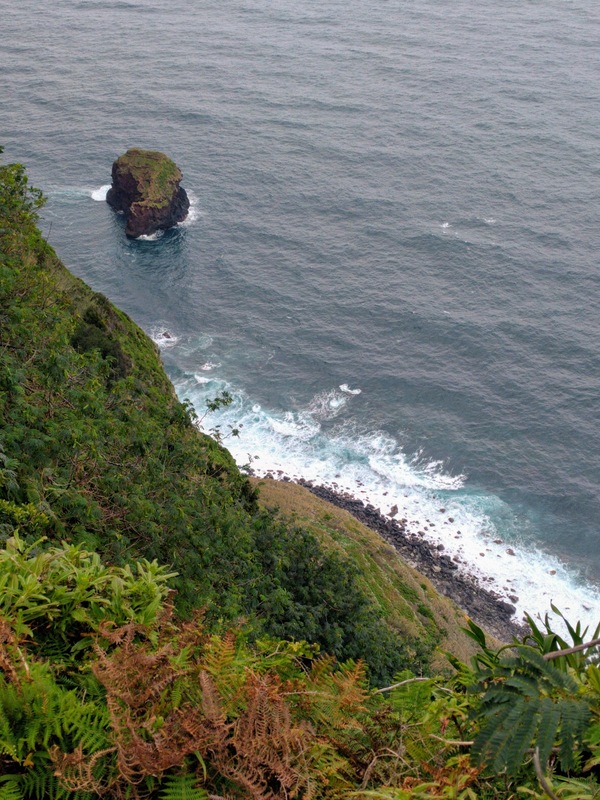 Madeira Island is less about beaches and more about the scenic coastline, great Madeira food, and challenging walks. We flew from Dublin to Madeira via London's Gatwick Airport for four days. 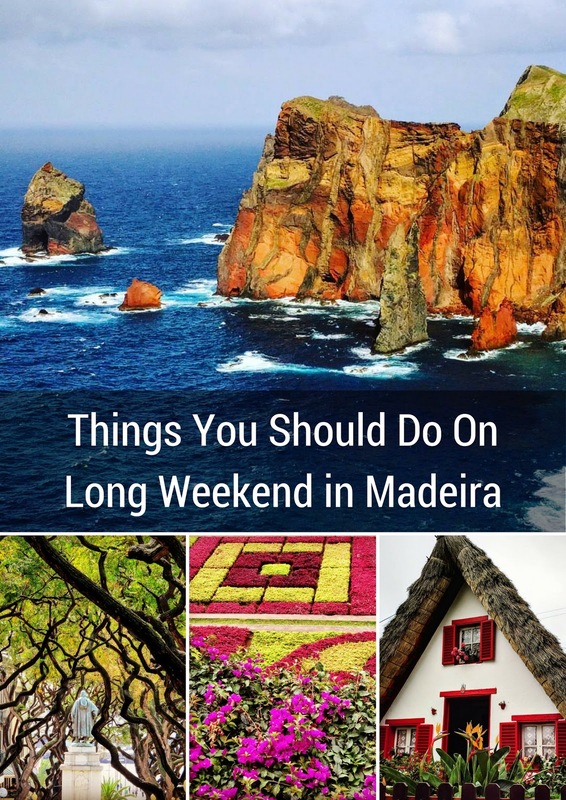 Here are my recommendations of things to do in Madeira on a long weekend. Life in Madeira centers around Funchal, the main city on the island. 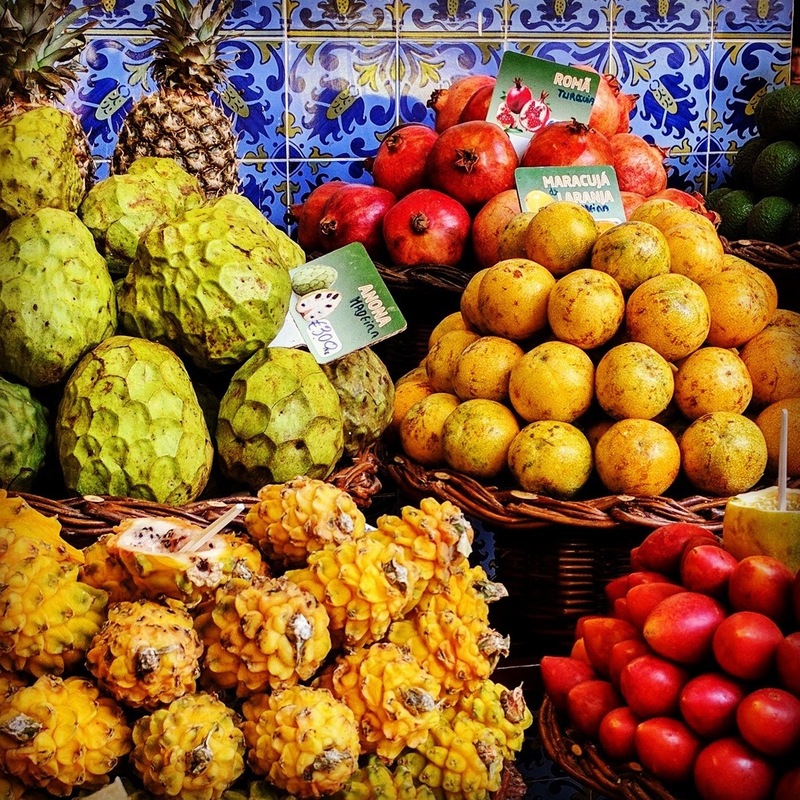 We stopped into the bustling Mercados dos Lavradores, Funchal's produce and fish market. We were particularly impressed with the variety of fruit on offer, especially varieties of passion fruit (maracujá in Portuguese). The vendors at the market will tempt you with samples. Enjoy them but be prepared to walk away with a bag full of fruit. Don't forget that passion fruit can be very expensive. Many of the kinds we saw cost up to 20 EUR per kilo. Despite the price, we thought it was worth buying some fruit that we simply can't get as readily at home. 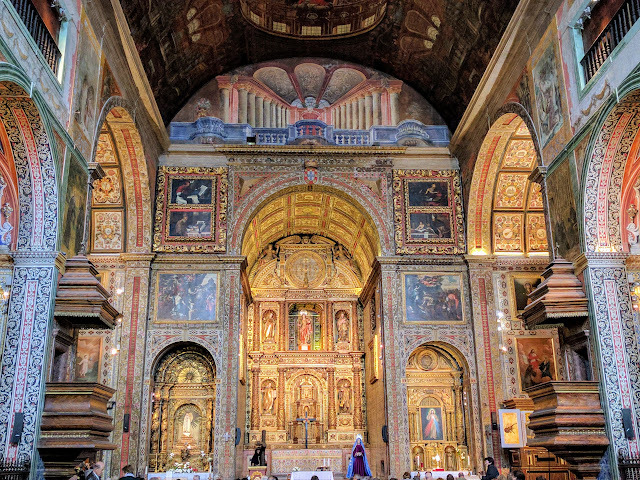 Funchal features a variety of white-washed churches dating back to the age of exploration. Go inside and admire the gilded interiors. We were surprised to find some creative art installations on the streets of Funchal. Keep your eyes open for a dose of art on your walks around town. We saw this imaginative metal portrait down a small alleyway in Funchal. Funchal's Old Town is known for a large selection of restaurants covering two cobbled streets for a distance of several blocks. I didn't realize that Old Town Funchal is also a mecca for artists in Madeira. The wooden doors throughout the Old Town are painted by different artists. We could have spent the entire day exploring the Painted Doors Project. One of the project's aims was to introduce a permanent outdoor art gallery on Madeira. I could have wandered for hours exploring the masterpieces. Well done. When the sun is shining, a coastal walk in definitely in order on Madeira. We wandered out to the breakwall past the Old Town in Funchal. The huge triangular concrete blocks added an interesting texture. The breakwall is a great spot to simultaneously look out to sea (maybe you'll spot the replica of Columbus' ship, the Santa Maria, in the distance) and toward land and the colorful buildings of Funchal. 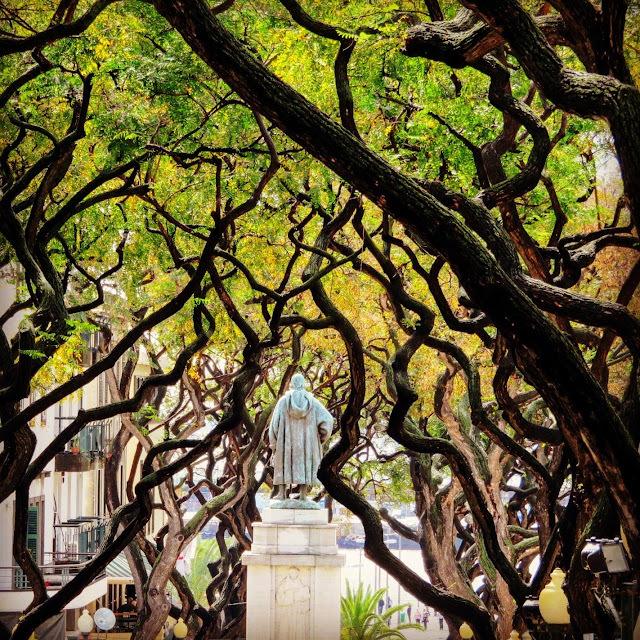 The streets of Funchal are lined with awesome gnarly old growth trees. Get out of the sun and wander under the shady canopy. Monte is a 30 minute public bus ride from Funchal. Situated on a hill, Monte offers sweeping views of the harbor below. Climb the bell tower of the church in Monte for even better views. Madeira is also famous for its gardens. Wander the steep trails at Jardim Tropical at Monte Palace as a great afternoon diversion. 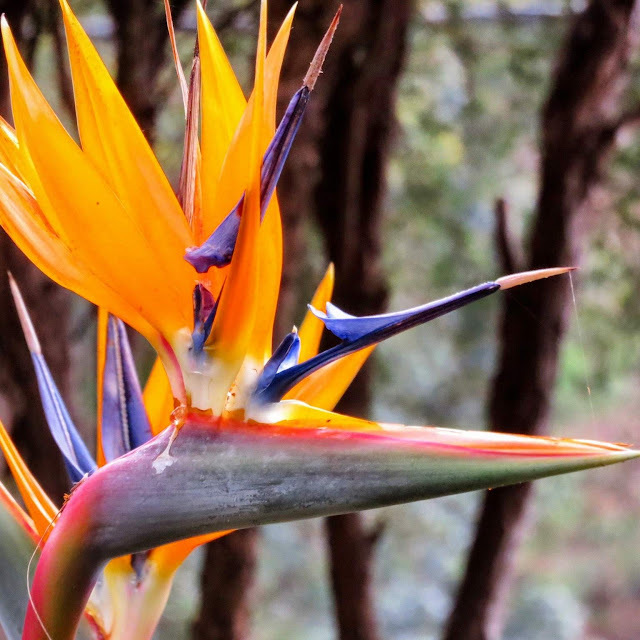 We loved the watery grottos, Asian inspired gardens, and plenty of flowers including my favorite Birds of Paradise. We were planning to do a Levada hike (a trail along the irrigation channels in Madeira) from Monte back to Funchal. Sadly, due to the wild fires in the summer of 2016, the trail we intended to take was no longer well-signposted so we felt we had to turn back. Rather than take the bus back to Funchal, we decided to try another mode of transportation; one steeped in history on Madeira, a toboggan ride! At the time of writing, the toboggan ride cost 25 EUR for a single person, 30 EUR for a couple and 40 EUR if you have 3 people. We hopped into a wooden sled manned by two gentlemen wearing special shoes and straw hats. They pulled the toboggan with a pair of ropes to generate some speed and momentum. Once we were cruising, they rode on the back of the sled using their shoes to course correct and maintain our speed. We rode downhill for almost a mile in an exhilarating ride. This definitely beats the bus! A long weekend in Madeira definitely calls for a day trip outside of Funchal. 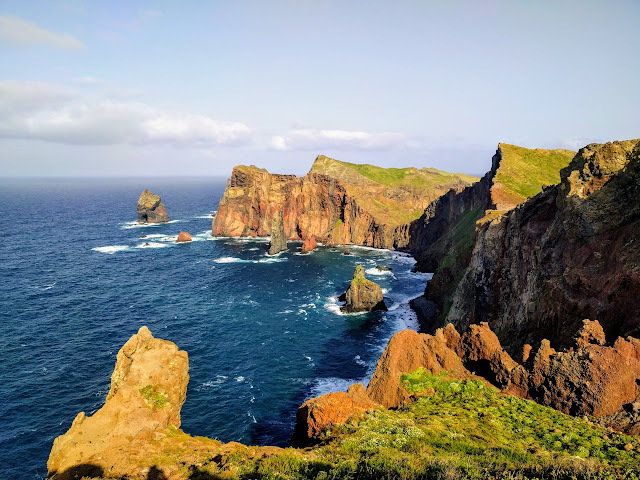 We booked in with Hit the Road Madeira for a drive around the east side of the island. Riding in a big orange jeep, we were able to go off-road to get to some places with gorgeous views. We had bad luck early in the day when the mountain peaks were completely fogged in but the sky cleared later in the day at lower altitude and we saw some stunning coastal views. Our Hit the Road Tour also made a stop in Santana which is known for traditional thatched cottages. We even got to go inside a privately owned palheiros house. Positively charming. Overall, Hit the Road provided a convenient way to get outside the city. The tour takes up to 6 individuals which is admittedly crowded given the size of the vehicle. Two people are forced to sit on uncomfortable jump seats in the very back of the jeep. Our group took turns sitting in the different seats so no one was uncomfortable the entire time. I think the tour would be better with a bigger car or less passengers. 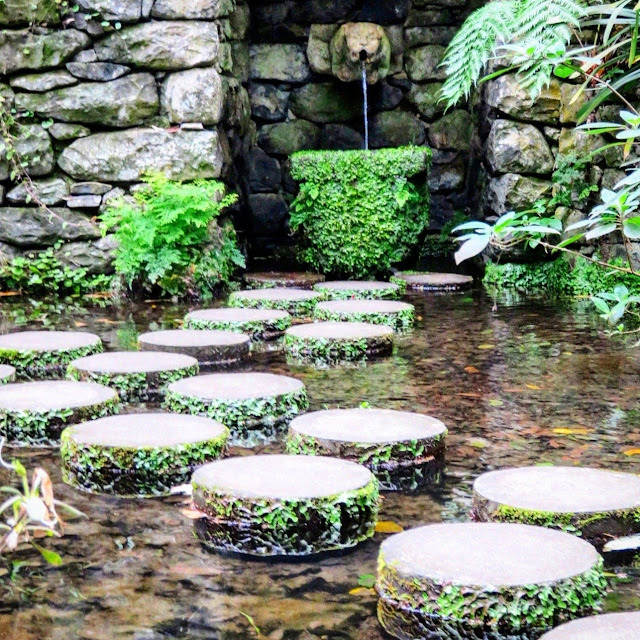 On the day we planned to fly home, we squeezed in a trip to the Madeira Botanical Garden. The gardens are a 10-15 minute taxi ride from Funchal and are well worth a visit. Once again, you'll experience sweeping views of the harbor. We also simply loved the patterned shrubbery. As you can see, there is plenty to do on a relaxing weekend break in Madeira. Have you visited Madeira? What were the highlights of your visit? Spend a weekend in Madeira. Find out about things to do on Madeira Island on a 4 day trip. Explore things to do in Funchal including Mercados dos Lavradores and other Madeira points of interest.